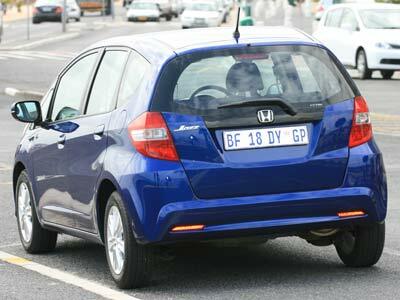 The Honda Jazz is the best made car in South Africa according to the J D Power Customer Satisfaction Index if you look at it over a few years. Honda, the brand is normally first or second, each year and the Jazz is the best in its niche. So we know it is extremely well built. The question is how does it drive? For a small car, the Jazz has got lots of space. The cabin is airy and pleasant. All round visibility is very good. The driver’s seat and steering adjusts easily so getting a good driving position is easy. Instruments and switches are where you would expect them to be and are clear and easy to use. The interior is better than the exterior I think. The car is a pleasure to drive. It feels well balanced and agile. The traditional clever Honda engineering is evident from the moment you turn the key. Everything is in balance. There are no less than 16 pockets, cup holders and assorted places you can keep things. It sounds excessive but it is all very clever. There is a cranny for everything, your phone, wallet, glasses, cooldrink, loose change, etc. The seats are comfortable, the sound system is very good and the air conditioner does its job well. In short, the interior is very well made. Not much. 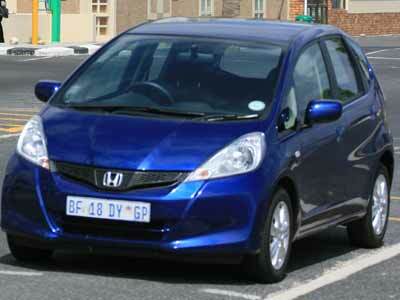 It is not a cheap car, but then you get more car for your Rand with a Honda. At altitude I think you may on occasion wish you have a bit more power, but getting the more powerful 1.5 will sort that out. Acceleration of the 1.3 is a little laborious. The Jazz grows on you. If you buy one you will not sell it for a long time. Fuel consumption of just under 7 litres per 100 km can be expected in general around town driving. 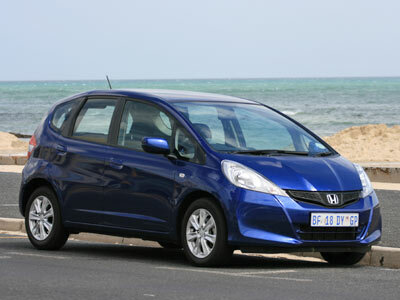 We drove the Jazz 1.3 Comfort CVT which costs R188 987.